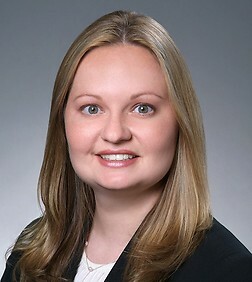 Michelle Ilczyszyn Nielsen is an attorney in the Corporate and Entertainment, Technology and Advertising Practice Groups in the firm's Century City office. Ms. Nielsen’s practice focuses on advising public and private companies in a variety of corporate transactions including formation planning, mergers and acquisitions, joint ventures and strategic alliances, corporate governance and securities law compliance. She has represented clients various industries, including entertainment and media, technology, manufacturing and financial services. Ms. Nielsen also has experience representing investment banks and issuers in a variety of corporate finance transactions, including initial public offerings, other public offerings of debt or equity, private placements, corporate recapitalizations and consent solicitations as well as representing venture capital and private equity funds in their portfolio company investments. Prior to returning to Sheppard Mullin, Ms. Nielsen was Vice President and Assistant General Counsel for Behringer Harvard from 2010-2015, where she negotiated joint venture agreements, employment agreements, technology agreements and vendor agreements. She also managed the legal aspects of a number of real estate and hospitality REITs and other alternative investment funds, including their formation, public and private offerings, investment acquisitions and divestitures, broker/dealer arrangements, securities law compliance, litigation and other legal issues.